Le Maïdo - The summit of Maïdo is situated at an altitude of 2,200 meters above sea level and offers a remarkable panorama over the Cirque de Mafate and the West Coast of Reunion Island, which is surrounded by magnificent beaches. It is better to visit Maïdo early in the morning. Later during the day clouds may hide the gorgeous views. Cascade Niagara is a 55 meters waterfall from the waters of Rivière de Sainte-Suzanne.The view is spectacular and the surrounding is an ideal place for swimming and picnic gatherings. The Cirque de Salazie is classified in its entirety as a World Heritage site by UNESCO. It is accessible by a single road and is dominated by the Voile de la Mariée waterfall. The vegetation is amazingly luxurious and the waterfalls running down the mountains may even splash over the road in places. Finding a good time to explore Cirque de Salazie can be difficult at times as the area is often covered with fog and mist. 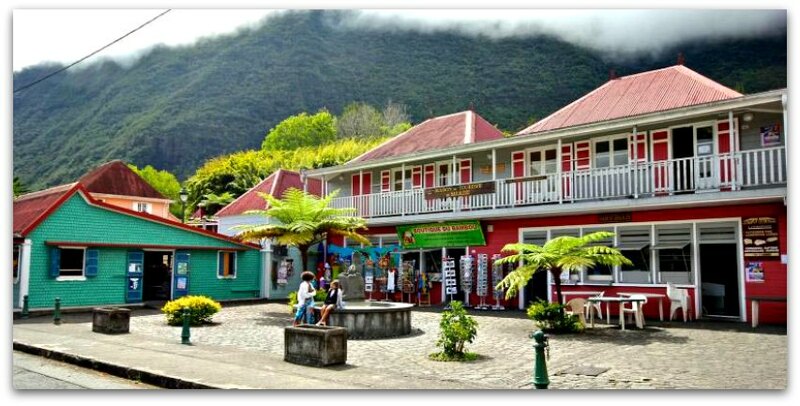 Hell-Bourg, located at the foot of Piton d'Anchaing, is like a fairy tale hamlet. It is classified as the “most beautiful village of France and Creole Village.” The mountainous verdant backdrop is amazing. The village of Hell-Bourg stirs up a nostalgic trip back in time to "lépok lontan" (ancient times). It has a rich past through its ancient baths and charming creole houses. Cascade du Voile de la Mariée - a vertiginous waterfall located one kilometer from Salazie on the way to Hell-Bourg. The cascade has its source in the often clouded mountain heights and is subdivided by many water streams flowing down the ravine. It owes its name to the fact that the visual effect of this long and thin waterfall evokes the gauzy tulle of a wedding veil. Le Temple du Colosse: located at Saint-André, the magnificent Hindu temple is dedicated to Goddess Pandialé, (also known as Goddess Dolvédé). Religious and fire walking ceremonies dedicated to godesses Kali and Mariamen are held every year. 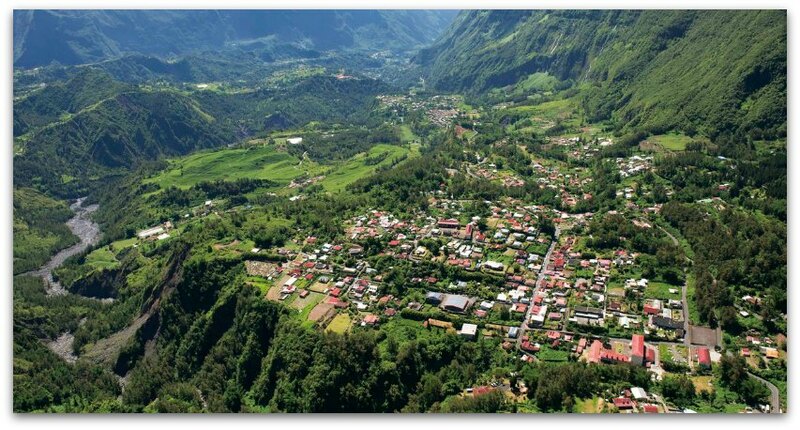 For more information about the Reunion Island Salazie Excursion plan or booking, send us a private message on our Facebook page. Click here >> , or use the Contact Form.